Theater is alive and well on campus, as evidenced by the Shakespeare Monologues held January 12. Upper school students acted out monologues from plays such as Taming of the Shrew, Hamlet and King Lear. A panel of judges crowned Ollie McClymonds the winner for his well-executed performance of Hamlet's soliloquy from the nunnery scene (Act III Scene I). 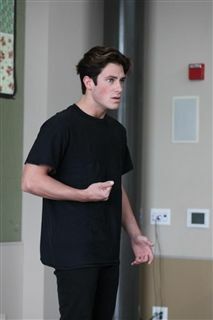 He will go on to compete in the Regional Competition on February 2 at the North Coast Repertory Theater. Congratulations to second place winner and competition alternate Nick Hamparyan and third place winner Powell Sheagren. For more photos head to our Facebook here.